4-Reverend William Wallace Fullarton Murray M. A. (Cambridge) was born on 15 Sep 1820 in Edinburgh, Midlothian, Scotland, was christened on 15 Sep 1820 in Gorbals, Lanarkshire, Scotland, died on 26 Sep 1894 in The Tower, Main Road New Town, Tasmania at age 74, and was buried in 1894 in St John's Church, New Town. In Jan 1963 his remains and headstone were relocated to Cornelian Bay, Church of England F104. The Reverend William Wallace Fullarton Murray was admitted to Christ's College, Cambridge, Cambridgeshire, England on 5 Jul 1838, and to Corpus Christi College, Cambridge, Cambridgeshire, England on 29 Jun 1839. B.A. 1843. M.A. 1847. He was ordained Deacon at Peterborough, England in 1843, and later, in 1843 he was ordained Priest. He was Priest at Sts. Peter & Paul Church, Scaldwell, Northamptonshire, England - 1843-1846, and later Priest at St. Botolph's Church, Brampton, Northamptonshire, England - 1846-1850. He arrived in Van Diemen's Land (Tasmania) on board the barque "Wellington" on 9 October 1850, after having sailed from Plymouth, Devon, England, on 29 June 1850. He came to Van Diemen's Land (Tasmania) as tutor to the children of Governor Sir William Denison. His first chaplaincy, from 1850-1854 was Clarence Plains, and then New Norfolk, from 1854 to 1893. In St Matthew's Church at New Norfolk a stained glass window has been erected to his memory. The following extracts are from the Hobart Mercury and form part of a series of critical reviews of local preachers. Last Sunday evening we found ourselves seated in the Church of St. Matthew, New Norfolk, the oldest existing church in the island. It was built about 1824. The building, which is of plastered brick, is in the form of three sides of a cross, though the architect probably designed it without reference to ecclesiastical proprieties, the block having been originally built for a public school. The main building was for many years used as a day school, the wings being set apart for the master's residence. It may be recorded in passing that taking it for granted the original design was made without reference to ecclesiastical architecture, the fact may be placed to the credit of ecclesiastical architects. As soon as erected the building was used on Sundays for the purpose of Divine service. The tradition runs that the first chaplain of Van Diemen's Land, the Rev. 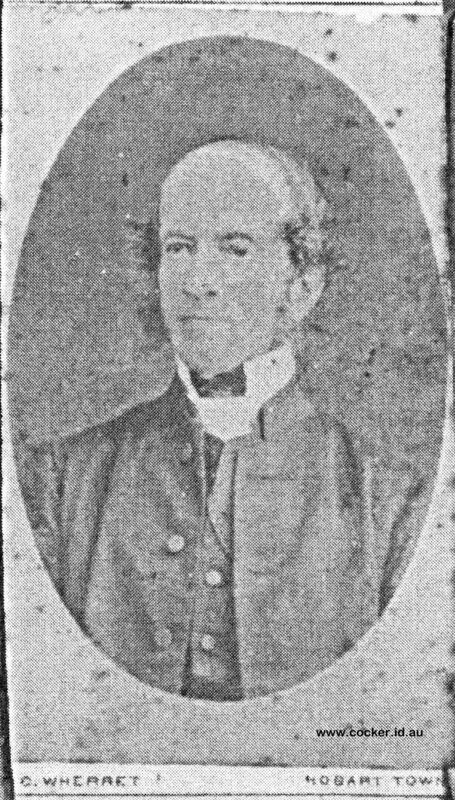 Robert Knopwood, was accustomed to preach in old St. David's, Hobart, in the morning, and ride out to New Norfolk and conduct service in St. Matthew's in the afternoon ; these being then the only two services held in the colony. 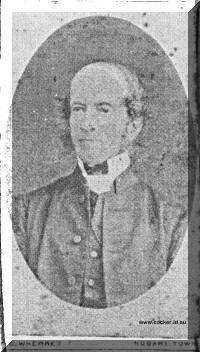 The present chaplain of New Norfolk, William Wallace Fullerton Murray, was born at Glasgow. His father was an officer in the 91st Foot, the famous Highland regiment, and as a lieutenant fought at Waterloo. The son was educated at the Newport Grammar School, Isle of Wight ; thence he proceeded to Cambridge, became a scholar of Corpus Christi, graduated in 1813, and took his Master's degree in 1847. Entering the Church, he was appointed curate of Scaldwell, in Northamptonshire, and subsequently held the curacy of a church in Brompton, in the same county. Invited by the then Governor of Tasmania, Sir William Denison, to come out to this colony, he resigned his curacy, and came hither in the year 1850. Sir William Denison appointed him chaplain of Clarence Plains, in which district he remained for four years. At the end of that period he was transferred to New Norfolk, the chaplaincy of which he has ever since held, being now one of the few colonial chaplains remaining under the provision of the Commutation Act, by which the rights of living chaplains were reserved. His ministry has been marked by quiet, unostentatious, but earnest labours in the behalf of those placed under his spiritual charge ; and the current of his life has been gentle and kindly. Not once during the 27 years of his residence here has he come in conflict with members of other religious bodies. The Roman Catholics and the Wesleyans are represented in the township, the former in strong force, though in a minority as compared with the number of adherents of the Anglican Church. It is in no small measure owing to the course Mr. Murray has so consistently pursued, that there has been an avoidance of those religious bickerings and active sectional antagonisms that not infrequently distract communities, and import bitterness and bigoted variance into their social relations, public and private. Though the district is not a large one, the incumbency is no sinecure The chaplaincy of the asylum entails Sabbath afternoon service, and two other services during the week at that institution. Then, besides the Sabbath services at St. Matthew's, monthly services are held at three outlying places in the district, namely, Molesworth (Sorell Creek), Back River, and Lachlan Village. There was not a very large congregation at St, Matthew's last Sunday evening, the weather being unfavourable. The building was lighted up with oil lamps, which cast a shaded light upon the brown walls and low white ceiling. Judging from the musical portion of the service, we should imagine Mr. Murray to be very slightly, if at all, musical. Otherwise the organ would be put somewhat more in tune ; the very amiable young lady who plays it would perhaps be prompted to practice more for the hymns, etc., so that she might play more evenly ; and the choir would be trained to harmonise more effectively. Three hymns were sung. The first was rendered passably. The second was that commencing" My God, my Father, while I stray, Far from my home on life's rough way." We did not consider how it was played ; our thoughts were elsewhere. The third hymn, the beautiful anthem of praise, "Saviour, again to Thy dear name we raise," was treated barbarously. It was torture to be within hearing distance. A minister should not overlook or despise the attractive power and devotional bearing of well-rendered music not only upon those of more or less musical taste, but even upon those of apparently none. It may help to attract the giddy and irreligious to church ; it certainly tunes to reverence, to worship, and to love. During the singing of the second hymn, the clergy- man left the reading desk, and retiring to the vestry, changed his white surplice for the evangelical black gown. As he ascended to the pulpit one perceived him to be short, thin, and narrow-chested. A man of about 58, The features sharp in outline. The fore- head is prominent and rounded, spectacles shade the eyes, the nose is long, straight, and protrusive, the lips thin, and the chin of no marked strength. The face, which is deeply lined, has little breadth, and the only hair upon it is by way of small brownish whiskers. The upper part of the head is bald, and the rest covered with dark hair, turned iron-grey in parts. The expression of the countenance is sombre ; either this man has suffered much from illness, or he has known some great sorrow, or sorrows ¡ been tried almost beyond his strength. He has been a diligent student, not of men, but of books. Quiet, patient, and reserved, with depth of feeling, consistency of character, those essential courtesies that bespeak the gentleman, and the qualities of an unambitious follower of Jesus, A pastor. He reads his sermon at a moderate rate of speed. The matter is like himself-practical and quiet. But the manner of delivery is needlessly defective. Only twice or thrice does he lift his eyes from the manuscript to look upon his hearers. There are no pauses other than those for punctuation's sake ; none tor distinction ; and there is but little variety in the speed of speech. To be thoroughly effective, almost all speakers need both to "sight" their hearers frequently, and to make use of little arts of delivery. They thus bring, more easily and quickly, the feelings of their hearers into sympathy with the views they express, and moreover lend point to that expression. The sermon lasted between 16 and 20 minutes. It contained nothing startling; nothing abstruse or metaphysical ; no great arraignment of any specific error or powerful, defence of an important tenet. Much of that would be as out of place in St Matthew's, New Norfolk, as a salvation army service at the Court of St. James. The preacher spoke a plain unvarnished message to his people ; and though they might wish for more energy and more expression in manner, they would find no fault with the style or character of the matter. 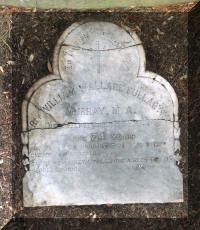 William married Louisa Augusta Schaw, daughter of His Worship Major Charles Schaw J.P. of 21st Fusiliers and Anne Frances Cockburn, on 28 Oct 1851 in Richmond. Louisa was born about 1830 in Jamaica, died on 13 Jun 1878 in New Norfolk at age 48, and was buried in Jun 1878 in Saint Stephen's Church, New Norfolk. They had eight children: Frances Elizabeth, Louisa Augusta, Mary (Minnie) Wallace, Eleanor Carter, William Wallace Fullarton, Thomas Charles, Katherine Valencia and Isabella Griselda. 5-Frances Elizabeth Murray was born on 11 Feb 1853 in New Norfolk and died on 12 May 1927 in Hobart, Tasmania at age 74. Frances Elizabeth Murray died unmarried and without children. She lived at 20 Cromwell Street, Battery Point, Tasmania. 5-Louisa Augusta Murray was born on 22 Dec 1854 in New Norfolk, was christened on 25 Jan 1855 in New Norfolk, and died on13 Jun 1878 in New Norfolk at age 23. Louisa had no children. 5-Mary (Minnie) Wallace Murray was born on 6 Oct 1857 in New Norfolk, was christened on 20 Nov 1857 in New Norfolk, died on 31 Oct 1934 in Hobart, Tasmania at age 77, and was buried in Nov 1934 in Cornelian Bay, Hobart, Tasmania. Mary Wallace Murray died unmarried and without children. She lived at 20 Cromwell Road, Battery Point, Tasmania. 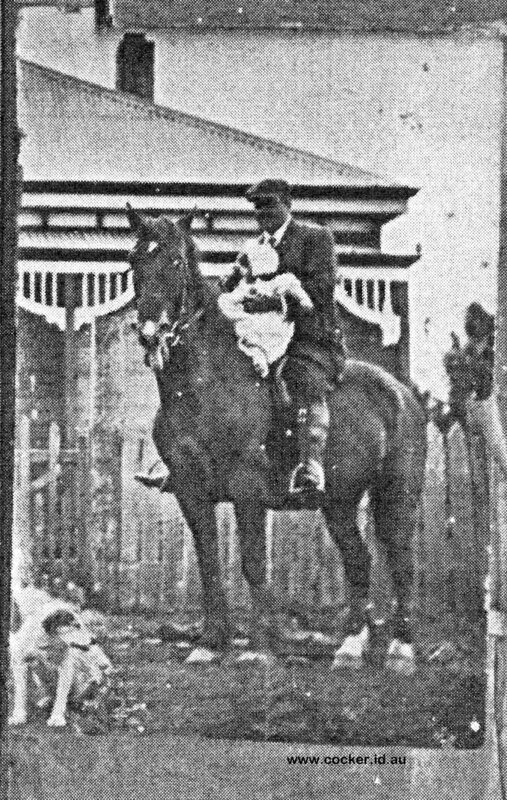 5-Eleanor Carter Murray was born on 14 May 1859 in New Norfolk, was christened on 14 Jun 1859 in New Norfolk, and died in 1911 in Tasmania at age 52. Eleanor married James Edington Park on 5 Sep 1883 in New Norfolk. James was born about 1858 and died in 1911 in Tasmania at age 53. They had three children: Harold Wallace, Priscilla Eleanor and Dorothy Violet. 6-Harold Wallace Park was born on 28 Jul 1884 in Hobart, Tasmania. Harold married Dorothy Olive Tucker on 10 Mar 1913 in Tasmania. 6-Priscilla Eleanor Park was born on 24 Nov 1885 in Hobart, Tasmania and died on 22 Dec 1904 in Hobart, Tasmania at age 19. 6-Dorothy Violet Park was born on 28 Feb 1888 in Hobart, Tasmania. Dorothy married Jock Hewitt on 26 Sep 1923. Jock was born on 28 Jul 1884. They had two children: Mary and Pauline. 7-Pauline Hewitt. Pauline married Douglas Crosswell. They had four children: Peter, Dorothy, David and Murray. 8-Peter Crosswell. Peter married Sandra. 8-Dorothy Crosswell. Dorothy married Jean Pierre Raymond. 8-David Crosswell. David married Sonia. 8-Murray Crosswell. Murray married Rosina Moisevich. 5-William Wallace Fullarton Murray was born on 23 Apr 1861 in New Norfolk, died on 4 Nov 1912 in Donald Street, Balfour, Tasmania at age 51, and was buried in Nov 1912 in Balfour, Circular Head, Tasmania. An Inquest was held into the death of William Wallace Fullarton Murray on 6 Nov 1912 before J.W. Lord, Esq., Coroner. The verdict was that "William Wallace Fullarton Murray died from a gun-shot wound self inflicted whilst of unsound mind". William married Hazel Myers on 18 Jan 1910 in Sydney, New South Wales. Hazel was born in Mar 1891 in Melbourne, Victoria and died on 23 Apr 1973 in New South Wales at age 82. They had two children: Jean Wallace and Mary Fullarton. 6-Jean Wallace Murray was born on 12 Jan 1911 and died on 10 Jan 1946 in Sydney, New South Wales at age 34. Jean married Arthur Frank Mears on 1 Aug 1944 in Sydney, New South Wales. Arthur was born on 28 Feb 1907 in London, England and died on 10 Jan 1946 at age 38. 6-Mary Fullarton Murray was born on 16 Sep 1912. Mary married Hugh Alexander Mercer Ross in 1937 in New South Wales. Hugh was born in Aug 1911 in London, England and died in 1984 at age 73. They had two children: David Hugh Wallace and Alexander Lindsay Murray. 7-David Hugh Wallace Ross was born on 27 Feb 1939 in Sydney, New South Wales. David married Diana Elizabeth Drummond. They had two children: Katrina Elizabeth and Melissa Jodie. 7-Alexander Lindsay Murray Ross was born on 5 Feb 1942 in Sydney, New South Wales. Alexander married Annette Catherine Jago. They had three children: Felicity Annette, Dunac Alexander and Cameron Lindsay. 5-Thomas Charles Murray was born on 5 Oct 1862 in New Norfolk, was christened on 12 Nov 1862 in New Norfolk, died on 17 Aug 1938 in Latrobe at age 75, and was buried in Aug 1938 in Cornelian Bay, Hobart, Tasmania. 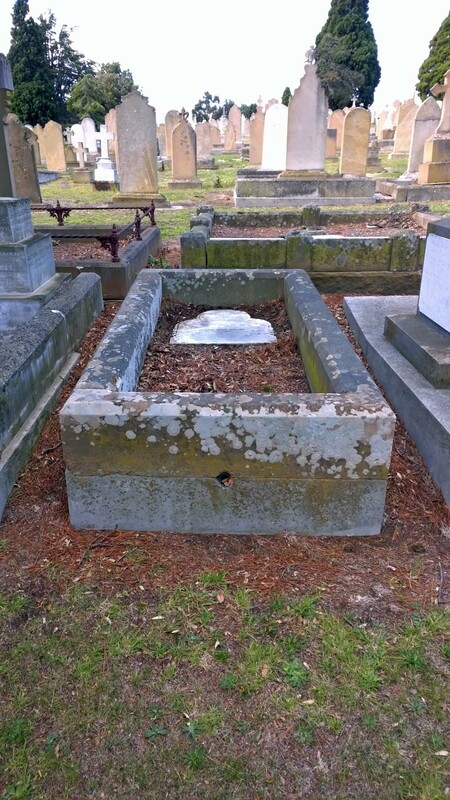 Thomas Charles Murray started "Murray's Reward Mine" (see "Pioneer Index and Southern Cemetery Trust Records "Beyond the Ramparts" by Kerry Pink - Cornelian Bay Records") in 1910 in partnership with his brother William Wallace Fullarton Murray. The mine failed around 1912, and Thomas Charles Murray became a recluse and he and his brother William Wallace Fullarton made a pact to each take his own life. Thomas Charles Murray was unable to commit the act and he had a nervous break-down. He collapsed at the Railway Station at Latrobe, Tasmania. 5-Katherine Valencia Murray was born on 13 Jan 1866 in New Norfolk, was christened on 13 Feb 1866 in New Norfolk, died on 2 Jan 1948 in Stanley at age 81, and was buried in 1948 in Stanley. Katherine married William Wilbraham Ford, son of Frederick Wilbraham Ford and Eleanor Elizabeth King, on 14 Jul 1897 in Hobart, Tasmania. 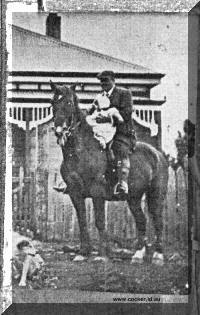 William was born on 21 Jul 1860 in Stanley and died on 22 Aug 1937 in Stanley at age 77. They had three children: William Wallace Wilbraham, Charles Alan Wilbraham and Constance Wilbraham. 6-William Wallace Wilbraham Ford was born on 2 Jul 1898 in Stanley. William married Dorothy Davis on 4 Jun 1927 in Tasmania. They had two children: Miles Wilbraham and Jill Wilbraham. 7-Miles Wilbraham Ford was born in 1927 and died in 1995 in Latrobe at age 68. He was a farmer and for some years Warden of Latrobe, Tasmania. Miles married Margaret Walters, about 1952. They had four children: Andrew Wilbraham, Antony Wilbraham, Timothy Miles and Kathryn L.
8-Andrew Wilbraham Ford was born on 8 Oct 1954 in Latrobe. 8-Antony Wilbraham Ford was born on 20 Apr 1956 in Latrobe. 8-Timothy Miles Ford was born on 4 May 1958 in Latrobe. 8-Kathryn L. Ford was born on 17 Jan 1962 in Latrobe. 7-Jill Wilbraham Ford was born in 1929. Jill married Steven Ertler. They had four children: Susan, Michael, Richard and James. 8-Susan Ertler was born on 29 Nov 1952. 8-Michael Ertler was born on 19 Nov 1958. 8-Richard Ertler was born on 14 Mar 1960. 8-James Ertler was born on 8 Jul 1963. 6-Charles Alan Wilbraham Ford was boron 2 Jul 1898 in Stanley. Charles married Christabel Von Stieglitz. They had one son: Tasman Wilbraham. 7-Tasman Wilbraham Ford. Tasman married Elizabeth. They had two children: Robyn and Peter. 6-Constance Wilbraham Ford was born on 7 Jun 1899 in Stanley. At age 17 years, Constance Wilbraham Ford became the first woman to drive a motor car from Stanley, Tasmania, to Hobart, Tasmania. Constance married John Macdonald. They had one daughter: Diana. 7-Diana Macdonald. Diana married Adriano Campanaro. 5-Isabella Griselda Murray was born on 7 Oct 1867 in New Norfolk, was christened on 7 Nov 1867 in New Norfolk, died on 30 Oct 1962 in Hobart, Tasmania at age 95, and was buried in Hobart, Tasmania. Isabella married Arthur Arabin Linton Terry, son of Ralph Terry and Frances Linton Simmons, on 13 Apr 1893 in New Norfolk. Arthur was born on 12 Oct 1867 in New Norfolk and died on 11 Feb 1938 in Hobart, Tasmania at age 70. They had three children: Phyllis Arabin, Kathleen Vavasour and Mona Lintorn. 6-Phyllis Arabin Terry was born on 31 Jan 1894 in Lachlan River Mill, New Norfolk and died on 20 Apr 1980 in Hobart, Tasmania at age 86. Phyllis married William Leslie Garrard on 13 Apr 1916 in St Georges Church, Battery Point. William, son of William Garrard and Mary Amelia Katherine Helen Warnock, was born on 27 Jun 1883 in Kings Meadow, Launceston and died on 5 Jul 1959 in New Norfolk at age 76. 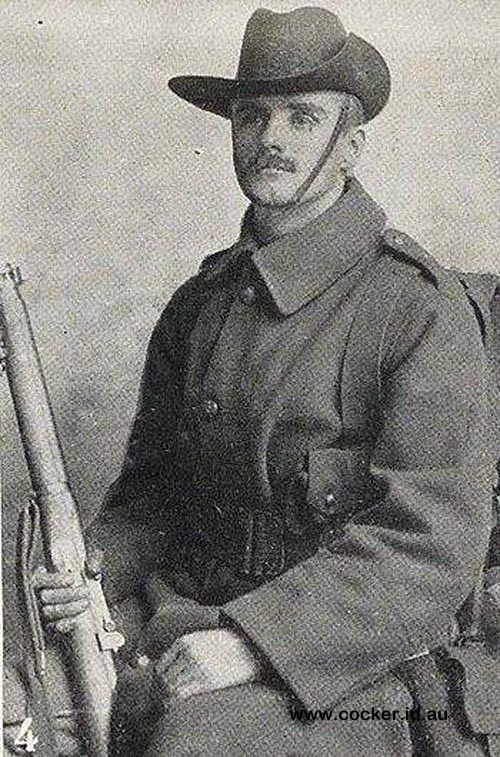 William served with distinction in the First World War. He was a 31 year old school master from Ulverstone when he embarked with the 12th Battalion and the rank of Sig Sgt. He was commissioned in the field and later transferred to the 40th Battalion. 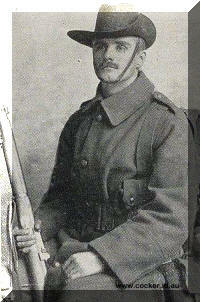 He was awarded the Military Cross for conspicuous gallantry and devotion to duty. He showed great determination and resource when in command of his company under heavy fire, and afterwards in charge of a section of the brigade line of consolidation. William and Phyllis had two children: Shirley Lucy and Jacqueline. 7-Shirley Lucy Garrard was born on 4 Apr 1921 in Hobart, Tasmania. Shirley married William Walter Knott on 14 Oct 1943. They had two children: Terry Margaret and Jennifer Jane. 8-Terry Margaret Knott was born in 1946. Terry married Bruno Fritsche. They had two children: Steven Dirk and Kim Roland. 9-Steven Dirk Fritsche was born in 1972. 8-Jennifer Jane Knott was born in 1950. Jennifer married Christopher Turner. They had two children: Louise Jane and Sean Matthew. 7-Jacqueline Garrard was born on 16 Jul 1926 in Marrawah. Jacqueline married Oscar Joseph Calvert, son of Oscar Derwent Calvert and Amy Isla Lazenby, on 26 Jun 1940 in St Georges Anglican Church, Battery Point. Oscar was born on 26 Jul 1923 in Hobart, Tasmania. They had five children: William Peter, Andrew Lintorn, Robin Mary Lintorn, Stephen Patrick Lintorn and Michael Lintorn. 8-William Peter Calvert was born on 30 Apr 1948 in Hobart, Tasmania and died in 1981 at age 33. William married Kathleen Joy Trueman. 8-Andrew Lintorn Calvert was born on 3 Mar 1950 in Hobart, Tasmania and died on 5 Mar 1950 in Hobart, Tasmania. 8-Robin Mary Lintorn Calvert was born on 3 Jun 1951 in Hobart, Tasmania and died in 1973 at age 22. Robin married Robert Hartley. They had one son: Daniel Lintorn George. Robin next married James Zammit. 8-Stephen Patrick Lintorn Calvert was born in 1953 in Hobart, Tasmania and died in 1953. 8-Michael Lintorn Calvert was born on 28 Oct 1954 in Hackney, Middlesex, England. Michael married Katherine in 1998. 6-Kathleen Vavasour Terry was born on 18 Mar 1898 in Hobart, Tasmania and died on 18 Mar 1968 in Tasmania at age 70. Kathleen married Clement Arthur Davis on 25 Jul 1923 in Tasmania. Clement was born on 22 Jan 1897 in Sorell and died on 2 Sep 1980 in Tasmania at age 83. They had two children: Graeme Ross and Pamela Alison. 7-Graeme Ross Davis was born on 13 May 1925 in Hobart, Tasmania. Graeme Ross Davis was a farmer, a pioneer breeder in Tasmania of Suffolk Sheep. He served as a District Governor of Rotary in 1978-1979. He also held executive positions with the Deloraine Dramatic Society, the Deloraine Municipal Council, the A. & P. Society, the Deloraine Football Club, and the Deloraine Lawn & Indoor Bowls Clubs. Graeme married Frances Heather Askin Morrison, daughter of Askin Morrison and Charlotte Frances Ibbott, on 22 Jun 1949 in Hobart, Tasmania. Frances was born on 18 May 1925 in Oatlands and died on 10 Apr 1954 in Oatlands at age 28. They had one daughter: Sandra Frances. 8-Sandra Frances Davis was born on 7 Nov 1952 in Latrobe. Sandra married Russell David Duck on 10 Nov 1973 in Launceston. Russell was born on 12 Dec 1949 in Colac, Victoria. They had two children: Geoffrey David and Cynthia Frances. 9-Geoffrey David Duck was born on 13 Sep 1975 in Launceston. Geoffrey married Linda Rowe on 12 Feb 1999 in Launceston. They had one son: Bradley Tyler. 10-Bradley Tyler Duck was born on 29 Mar 1999 in Launceston. 9-Cynthia Frances Duck was born on 18 Apr 1978 in Launceston. Cynthia married Martin John DE Wit on 10 Mar 2001 in Church of the Good Shepherd, Hadspen, Tasmania. Martin was born in Feb 1980 in Tasmania. Graeme next married Ada Beverley Cresswell on 22 Apr 1955 in Launceston. Ada was born on 2 May 1929 in Launceston. They had four children: Keith Ross, Katrina Mary, Pamela Victoria and Bruce Cresswell. 8-Keith Ross Davis was born on 29 May 1956 in Launceston. He was a farmer at Little Bowerbank, Deloraine. Keith married Sharon Wendy Aylett, daughter of Kevin Aylett and Doreen Broomhall, on 16 Oct 1982 in St Marks Deloraine. Sharon was born on 15 Jan 1963 in Burnie, Tasmania, Australia. They had three children: Fletcher Ross, Bradley John and Callum Michael. 9-Fletcher Ross Davis was born on 26 Mar 1968 in Launceston. 9-Bradley John Davis was born on 25 Nov 1987 in Launceston. 9-Callum Michael Davis was born on 26 Jul 1990. 8-Katrina Mary Davis was born on 19 May 1958 in Launceston. Katrina married Phillip Robertson Atkinson on 24 Jan 1981 in Deloraine, Tasmania. Phillip was born on 24 Feb 1952. They had two children: Hannah Victoria and Thomas Roberston. 9-Hannah Victoria Atkinson was born on 23 Feb 1989 in Launceston. 9-Thomas Roberston Atkinson was born on 2 Apr 1991 in Launceston. 8-Pamela Victoria Davis was born on 5 Jul 1959 in Launceston. Pamela married Marios Constantinides, son of Unknown and Unknown, on 5 Jun 1993 in Buderim, Queensland. Marios was born in Cyprus. They had two children: Herodotos and Tobias. 9-Herodotos Constantinides was born on 3 Mar 1994 in Buderim, Queensland. 9-Tobias Constantinides was born on 23 Aug 1995 in Buderim, Queensland. 8-Bruce Cresswell Davis was born on 3 Dec 1964 in Launceston. Bruce married Fiona Williams on 24 Sep 200 in Queensland. They had one daughter: Alyssa Jane. 9-Alyssa Jane Davis was born on 18 Feb 2001 in Queensland. 7-Pamela Alison Davis was born on 15 Nov 1927 in Hobart, Tasmania. Pamela married Edward Louis Archer on 11 Jan 1950 in Holy Trinity Church, Hobart, Tasmania. They had four children: Prudence Ruth, Paulette Gay, Edward Stuart and Felicity Clare. 8-Prudence Ruth Archer was born on 12 Dec 1950 in Hobart, Tasmania. Prudence married Wilbert Stanley Richardson on 5 Nov 1983 in Ontario, Canada. They had two children: Amber and Derek. 8-Paulette Gay Archer was born on 11 Oct 1952 in Hobart, Tasmania and died on 6 May 1966 in Hobart, Tasmania at age 13. 8-Felicity Clare Archer was born on 15 Apr 1961 in Hobart, Tasmania. Felicity married Christopher Gray on 5 Apr 1986 in Bothwell, Tasmania. They had one daughter: Georgina. 6-Mona Lintorn Terry was born on 9 Nov 1912 in Tasmania and died in 1930 in Tasmania at age 18 from injuries falling from a horse.